We revisited Camp Island in November. This inshore island is just north of the Abbott Point coal terminal. 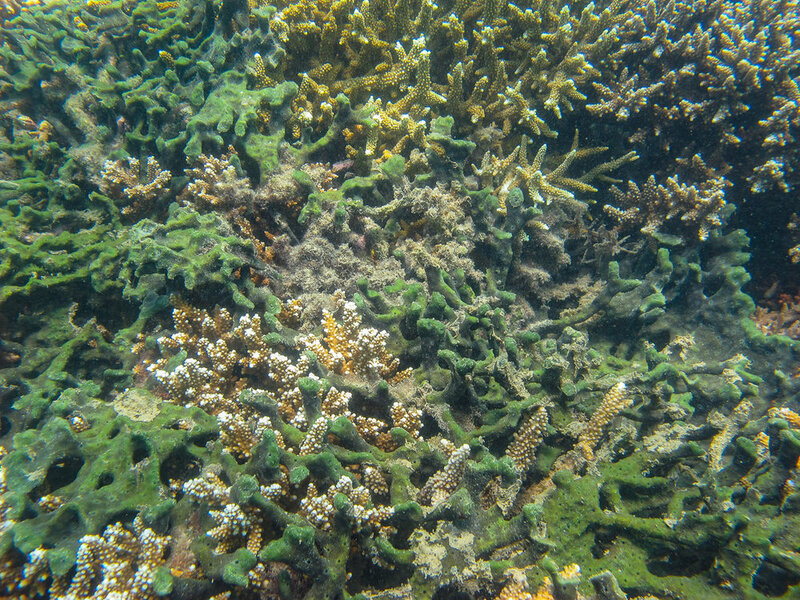 The water was dirty around Bowen and around the coal terminal but just before we reached the island we got into blue water and vis was around 10m again. 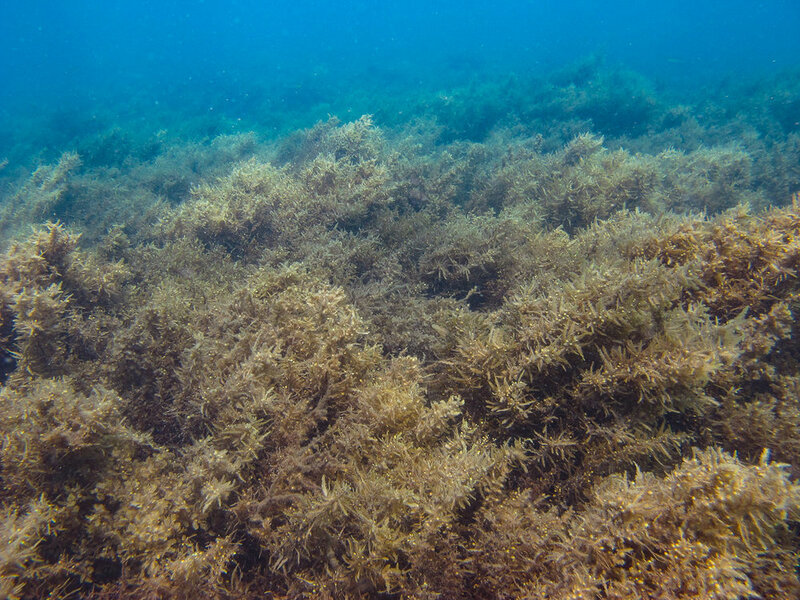 The reefs were very similar to when we surveyed them 6 months ago except that lots of Sargassum algae were tangled amongst the stag horn corals at one of the sites. 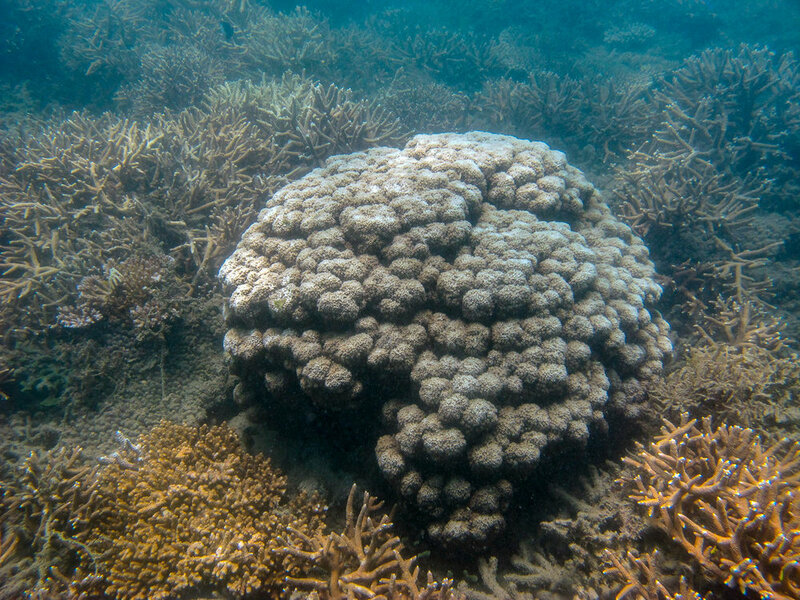 These reefs are very shallow and waves often break or turn over corals even in ordinary rough weather. 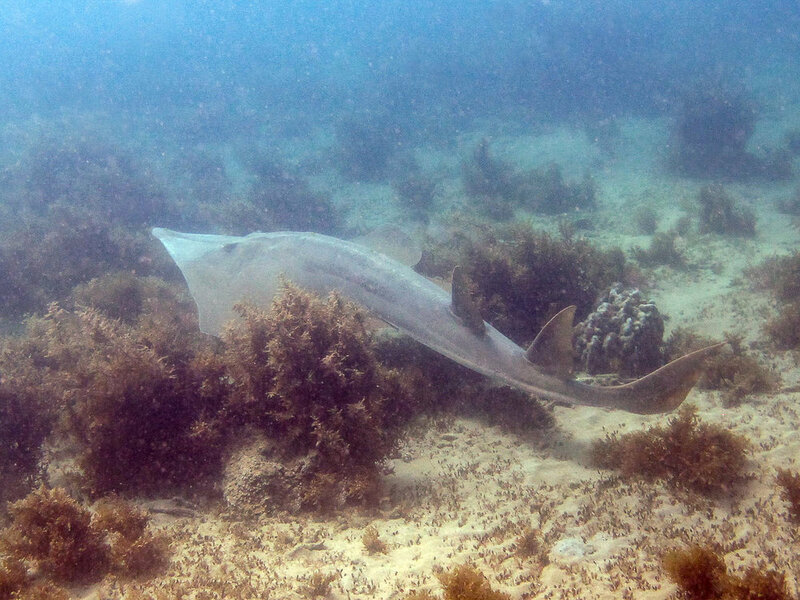 One thrill during this visit was seeing a huge shovelnose ray. 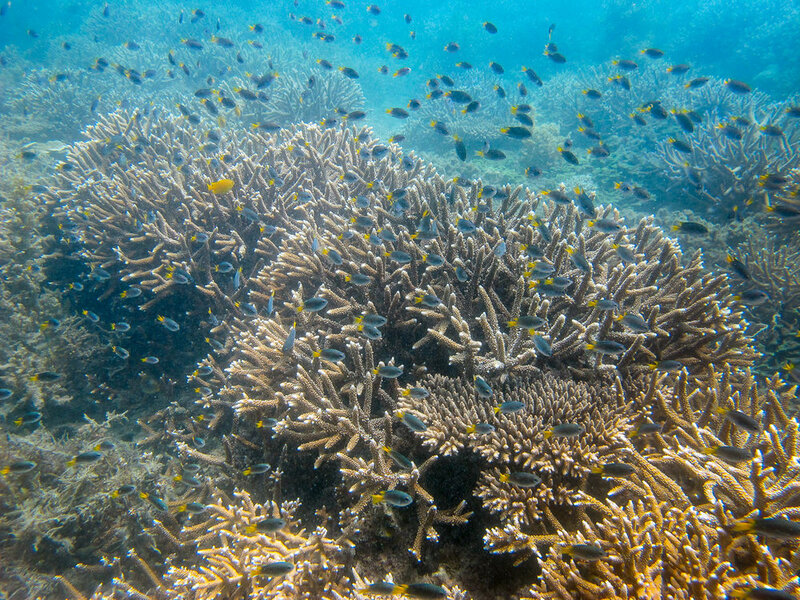 We don’t often encounter these unusual fishes, especially one about 2.5m long!